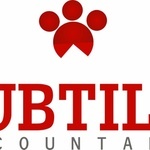 Subtilis Accountancy offers proven expertise in areas like bookkeeping, preparing draft accounts for external accountants, preparing periodic reports, financial statements, bank...Read moreSubtilis Accountancy offers proven expertise in areas like bookkeeping, preparing draft accounts for external accountants, preparing periodic reports, financial statements, bank reconciliations and taking care of your general accounting needs. Major Sage Business Cloud Financials project; Very complex Chart of Account mapping work from old system (VT) to new Sage. Shareen's approach & attitude are second to none. Shareen's expertise was demonstrated through out the work, achieving exactly what was required. I'm able to strongly recommend Shareen's services & skills based on this very successful project. Thanks Neil, look forward to working with you and tackling more complex projects together! Very professional and efficient with a great communication pace. I have used Shareen for the first time to do business accounts and I have already noted that I will be using her again. Extremely efficient, very professional, very knowledgable and most of all trustworthy which is essential when dealing with accounts. I am very glad I went with Shareen. I will be using her again. I can't fault her in anyway!!. If you are wondering who to use on PPH, based on my experience I can vouch for Shareens work. 5*. Thank you! Thanks for the nice feedback Selhan, look forward to working with you again! Great :) Easy to work with - clear comunication and picking up lots of additional points along the way. Knowledgable with onine accounting software / paypal / amazon interfaces. Highly recommended. Thanks Peter, look forward to working with you! dreadful. I waited for months for results, only to receive an invoice literally on Christmas Day. The work itself was also not satisfactory. Still had to pay! Would you believe it!